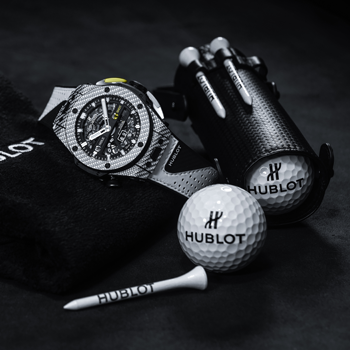 Hublot Ambassador, Patrick Reed, highlighted his prodigious talent and battling spirit with a maiden Major victory at The Masters Tournament, sealing his place in the annals of golfing history alongside the greatest players ever to have played the game. Leading the field by three shots, following magnificent sub-70 rounds of 69, 66 and 67, the 27-year-old American showed nerves of steel under immense pressure during the final round to close with one-under-par 71, earning his first Green Jacket in a scintillating fashion. Throughout four days over the fabled Augusta National course, Reed was in imperious form, recording more birdies than any other player (18) and two eagles through 54 holes to take a three-shot lead into the final round. Being chased by the strongest field of any of golf’s Majors, the new world No.11 showed his steely competitiveness during a battling 18 holes on Sunday, rolling in clutch birdie putts on 3, 12 and 14 to put the title out of reach of his rivals on a 15-under-par total of 273. 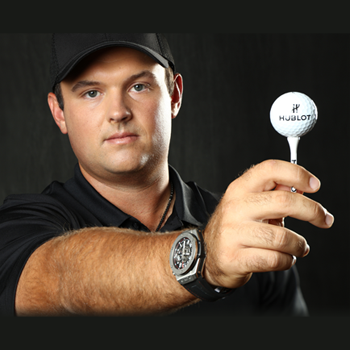 Reed surged onto the world scene following heroic displays at the 2014 and 2016 Ryder Cups. In both encounters he was the leading points scorer for his team, earning him the title ‘Captain America’ for his spirit and patriotism. A five-time event winner, Reed now possesses one of the strongest records in world golf, adding Major victory to Ryder Cup, World Golf Championship (won at the WGC-Cadillac Championship in 2014) and PGA Tour crowns. Reed was joined at the head of The Masters leaderboard by his fellow Hublot Ambassadors, Olympic Champion, Justin Rose, and world No.1, Dustin Johnson, who closed out their campaigns in ties for 10th and 12th, respectively. 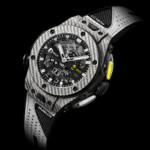 The scintillating performance of its Brand Ambassadors, headlined by the continued heroics of Reed, comes amid an incredibly exciting 12 months for the brand and following the launch of the luxury watchmaker’s first golf-specific timepiece, the Big Bang Unico Golf. Inspired by the great game, the newest edition has been crafted with the golfer in mind, offering a mechanism for displaying the number of strokes taken and counts the strokes per hole.